I was so delighted the other day to discover that a new jigsaw puzzle featuring covers of various Jane Austen-related books includes the American cover of my book about 200 years of Pride and Prejudice. It has been said that “life is a jigsaw puzzle with most of the pieces missing” – perhaps that is why I find it satisfying and calming to work on a puzzle. There’s a lovely range of literary ones available. I have a Jane Austen one (and of course I have ordered the one that features my book). There are several Dickens ones on the market, using the illustrations by Phiz, or portraits done of Dickens himself. Shakespeare has been well celebrated on jigsaws – Shakespeare’s Britain, his characters, quote puzzles, and a nice one of that beautiful Millais painting of Ophelia drowning. Amazon seems to offer quite a range, but most have only 200 or so pieces. I prefer a puzzle with at least 1000 pieces, so I feel properly challenged. The Bodleian has created a lovely one with covers of children’s books, and nowadays you can even pay to have your own jigsaw created. Incidentally, books and puzzles do seem to go nicely together and my local library at Kings Cross always has a puzzle on the go. I usually stop and add a piece or two when I visit. 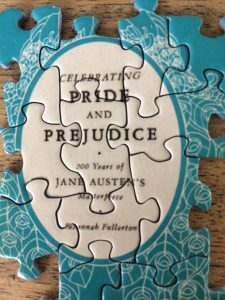 So, if you are keen on jigsaws, why not do some with a literary theme this year? What do you think? Comment here. 1000 Jane Austen Puzzle by Re-marks, Inc.
Come over one day and help me do it, Rose???? Oooh, tempting. Thanks for letting me know Eve. 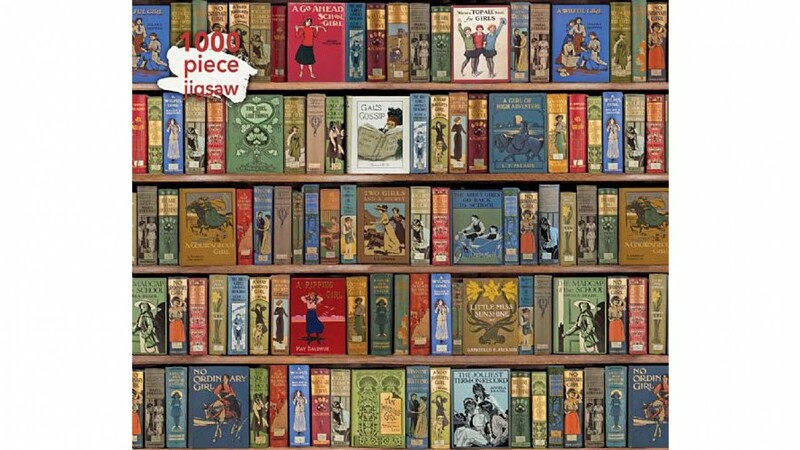 Where do you buy the 1000 piece literary jigsaws Susannah? The Jane Austen one featuring my book is available through Barnes and Noble in the USA. It cost me about $28, though I ordered a few so possibly they gave me a discount. If you google Jane Austen puzzle Barnes and Noble it should come up. I will have a few available for sale at the next JASA meeting, so you could order one of those from me if you want one. I have the table, but my problem is my two cats who try to get at the pieces and take them away to chew! It’s not that I do not feed them, it is just cats being contrary.